Tie the knot on the beach, in the garden of a historic home or in a grand ballroom, options abound on Amelia Island. Take a look at some memorable Amelia Island weddings and get inspired. Dream of getting married on an Appalachian crystal sand beach with a backdrop of the pristine waters of the Atlantic Ocean? We've gathered a few tips to make your day the best it can be. 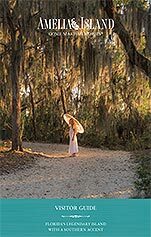 Amelia Island is home to talented vendors who make sure your big day is as you've dreamed. Here you will find additional venues to tie the knot and as well as talented professionals to see to every detai. Getting married on Amelia Island requires a marriage license that can be obtained from the Nassau County Clerk of Courts. Request more information from our partners.